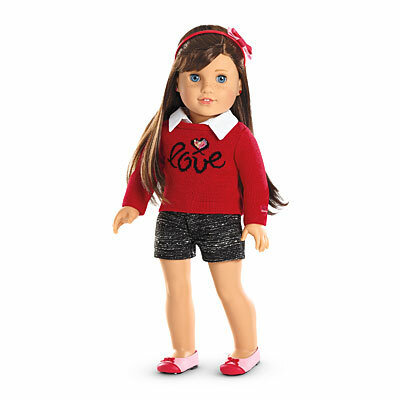 American Girl doll news, reviews, stories and fun! Sneak Peek of Grace’s Collection!! I have some pictures!! Grace has a super cute (and expensive) collection! I got these pictures from Lissie and Lily’s blog. 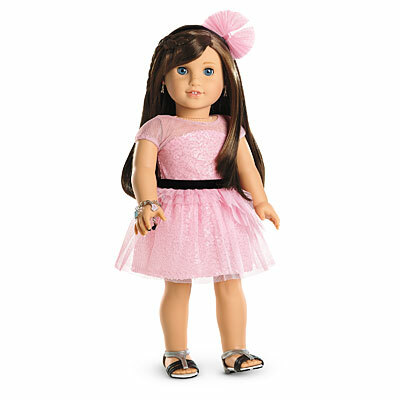 It’s about American girl dolls too! These are not all of the pictures. Go to Lissie and Lily’s blog to see the rest! What do you think? I think she’s pretty unique! She comes with heart earrings and a charm bracelet. I love this! It’s perfect for Valentines day. I don’t get why they put shorts with a sweater, but it’s still cute. I eat gluten-free, dairy-free, and grain-free. I also don’t eat any almonds. Catlover02 can eat almonds and is excited that they included a box of almond flour in this set! I think this is estimated to be around $500. Oh my goodness. It must be huge! I would love to see the display for that at the store! Many girls will probably want it, but if they do get it, where will they put it? These remind me of Kanani’s or Jess’s pajamas. 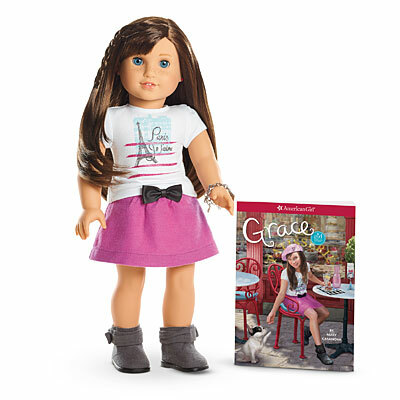 On the American girl Play site, they have a countdown for Grace. They also have announced that Grace will have an app. You can play a game and watch some videos. Click here to see! Thank you for reading! 5 more days until Grace’s debut! I am getting super excited over this doll! I am soooo getting her, but my sis said if I got it I would have to share it with her. That’s O.K by me. 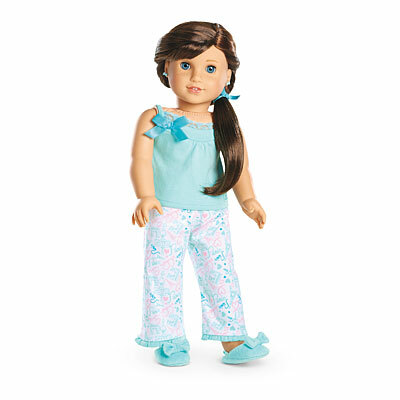 I am going to get her pjs and pink dress, and probably her accessories. So cute. I what to get her! I think I will create my own version of the bakery. I could just make accessories like the one in hers and set it up. 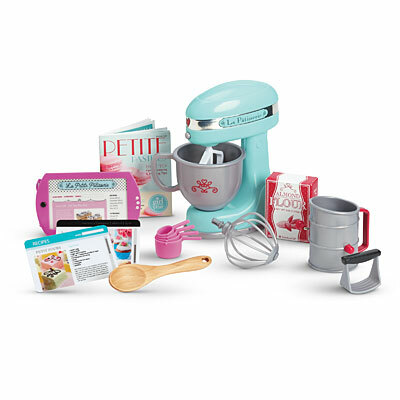 I have a mixer, and lots of baked goods! I am getting excited!!! I am so EXCITED too! She is so CUTE!!!!!! I love her. 🙂 How can i get to that doll blog you got the pics off? The address is lissieandlily.blogspot.com or something like that. I probably won’t buy her suitcase because knowing A.G. I will be expensive. I will probably get the target brand. © Small Dolls in a Big World™, 2014-2018. Unauthorized use and/or duplication of this material (both written and photographic) without express and written permission from this blog’s author and/or owner is strictly prohibited. 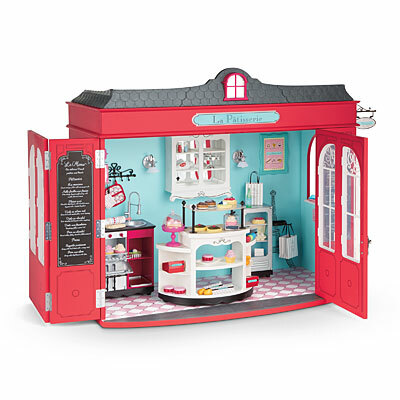 Excerpts and links may be used, provided that full and clear credit is given to Small Dolls in a Big World™ with appropriate and specific direction to the original content.